This past weekend we celebrated Owen turning the big 8 and Gus's upcoming 2nd birthday with our families. Just a little celebration with cake and ice cream--note the sprinkles on Gus's cake--Max helped Grandma with those. I thought it added a bit of character. 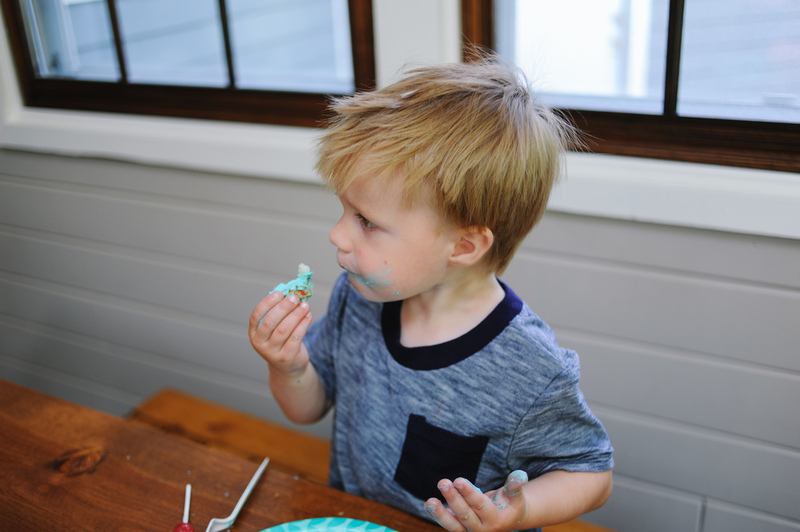 :) Gus wasn't so sure about the happy birthday song but, of course, he loved the cake and candy. Anyways, I just wanted to share a few snapshots to document the celebration. I was a bit of a slacker when it came to the photo taking. Better than nothing I suppose! Thank you to our dear family for joining us to celebrate. A celebration wouldn't be one without you. We love you all!